Real Ketones products contain a multi-patented proprietary formula of BHB+MCT to kickstart your body into quick, sustained ketosis. This fat-burning formula mimics the body’s natural ketogenic process.  BHB salts alone can’t do it and MCT won’t start ketosis by itself. Only our combination of both BHB+MCT delivers the special blend of ketones to both elevate ketones and to help your own body create more to sustain your ketone levels longer. 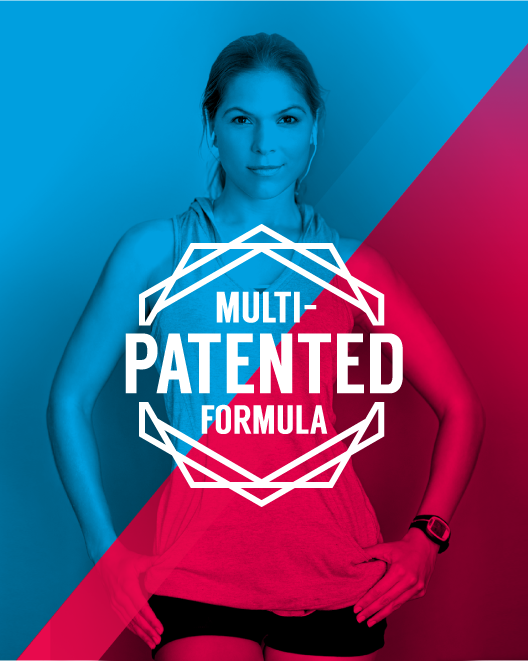 This multi-patented formula is only available through Real Ketones. 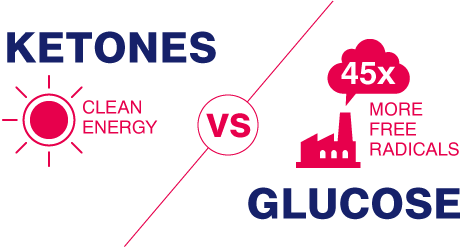 There are only two sources of energy for your body: GLUCOSE and KETONES. Glucose is an extremely inefficient energy source. In fact, it produces 45x more free radicals than ketones. 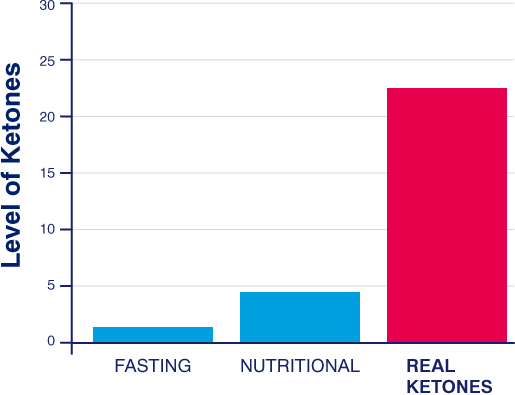 Only Real Ketones’ pure, clean keto supplements fuel your body with our fast-acting BHB+MCT multi-patented formula that propels your body into the fat burning state of ketosis and then helps you sustain it by helping your body create its own exogenous ketones. We’re fueled by consumer insight, and we invest more into consumer studies than anyone in the keto industry. With over 300 participants across four consumer studies and almost $1M invested, we’re continuing to gain key insights into weight loss, glucose control, appetite suppression, mental focus, mood, memory and sleep. D’Agostino’s patented technology is more than a weight loss breakthrough, it’s also a “brain tonic,” offers glucose control support, enhances overall performance and improves general overall health. A new independent human clinical study proves that ketone salts help support healthy blood and triglycerides. *(3) This multi-patented technology is what makes Real Ketones so unique. Kick-start Your Metabolic Makeover Today! Whether you want to take your low carb diet to the next level or conquer the ultimate “keto” quest, Real Ketones Prime D+ is the most powerful exogenous ketone supplement sold to the public. Holdsworth, D.A., Cox, P.J., Kirk, T., Stradling, H., Impey, S.G., and Clarke, K. (2017). A Ketone Ester Drink Increases Postexercise Muscle Glycogen Synthesis in Humans. Med Sci Sports Exerc. Vandoorne, T., De Smet, S., Ramaekers, M., Van Thienen, R., De Bock, K., Clarke, K., and Hespel, P. (2017). Intake of a Ketone Ester Drink during Recovery from Exercise Promotes mTORC1 Signaling but Not Glycogen Resynthesis in Human Muscle. Front. Physiol. 8, 310. Clarke, K., Tchabanenko, K., Pawlosky, R., Carter, E., Todd King, M., Musa-Veloso, K., Ho, M., Roberts, A., Robertson, J., Vanitallie, T.B., et al. (2012). Kinetics, safety and tolerability of (R)-3-hydroxybutyl (R)-3-hydroxybutyrate in healthy adult subjects. Regul. Toxicol. Pharmacol. 63, 401-408.